In the 1930s, the United States was in the grip of the Great Depression and the Dust Bowl. Jobs were scarce, people were hungry, and the nation’s lands and forests were in decline. 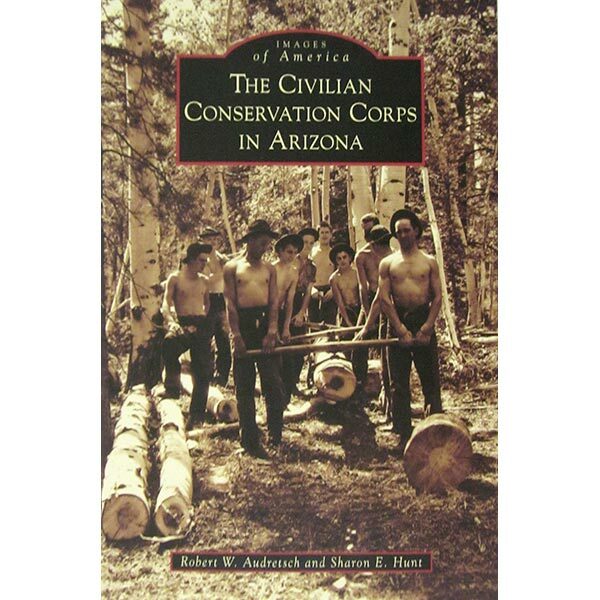 To combat these harsh realities, President Franklin D. Roosevelt established the Civilian Conservation Corps (CCC), a 1933–1942 program that put young unemployed men to work developing and conserving natural resources. The men lived together in camps where they received medical care, food, and education, while a portion of their salaries went home to support their families. In Arizona, they battled soil erosion on grazing lands, built roads, and developed parks, including Petrified Forest National Park, Saguaro National Park, and South Mountain Park. At Grand Canyon, they built trails, roads, and buildings. Throughout the state’s national forests, they constructed recreational facilities and improved the health of the woods. The magnitude of the work they accomplished is staggering, and their enduring contribution to the state is unquestionable.